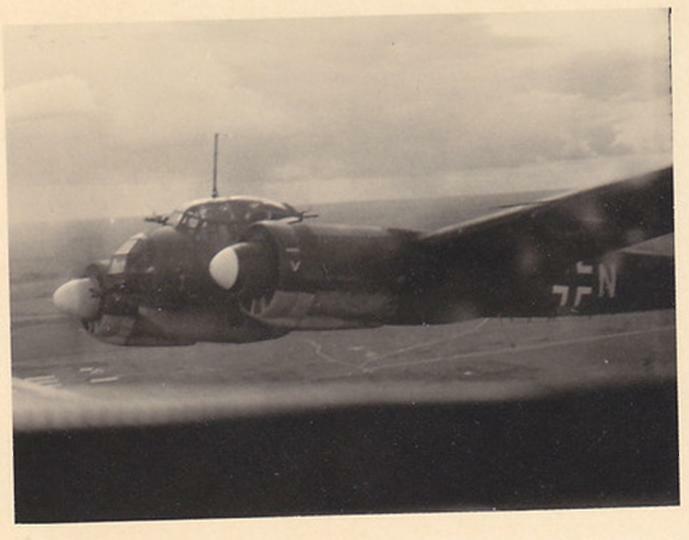 First up is this nice clear shot of a Me 109 E belonging to the Geschwaderstab JG 53 seen in the autumn of 1940 on the Channel coast. 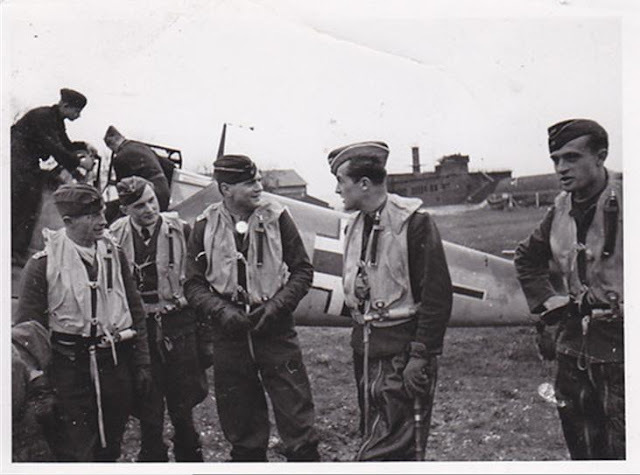 The pilots with brief bios are identified as follows from the left; Lt. Ernst Klager - around 22 Luftsiege, taken captive on 3 July 1942, Oblt. 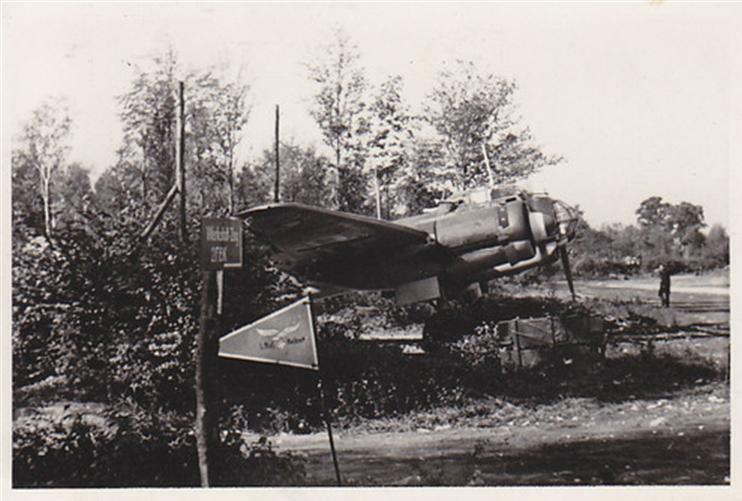 Kurt Brändle - RK on 1.7.1942, EL on 27.8.1842, total victory tally 180 Luftsiege, KIA on 3.11.1943 after downing two P-47s west of Amsterdam, body later recovered from the sea, Kommandeur of II./JG 53 Hptm. Horst Bretnütz, RK on 22.10.1940 with a total of 37 Luftsiege, KIA on 22.6.1941 over Jubarkas/Lithuania, Hptm. Wolf-Dietrich Wilcke, RK + EL, 162 victories, and lastly Lt. Erich Schmidt, RK on 23.7.1941 for a total of 47 victories, missing since 31.8.1941 after a direct hit from anti-aircraft fire in the vicinity of Dubno. 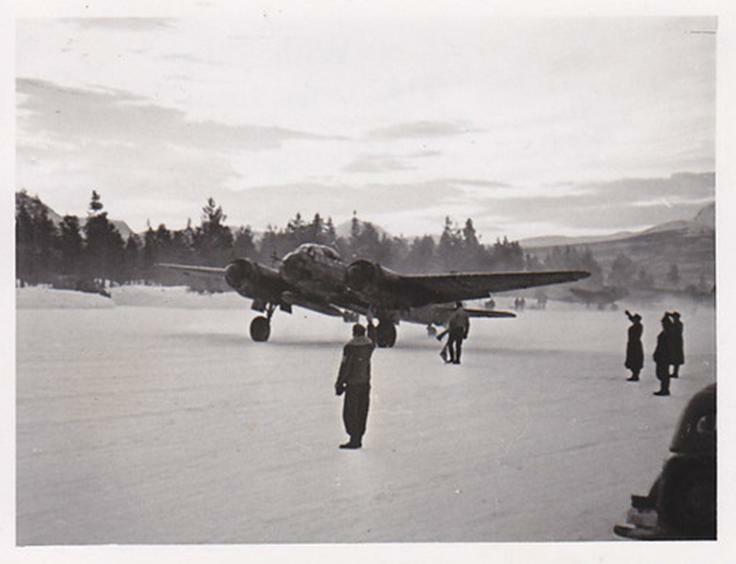 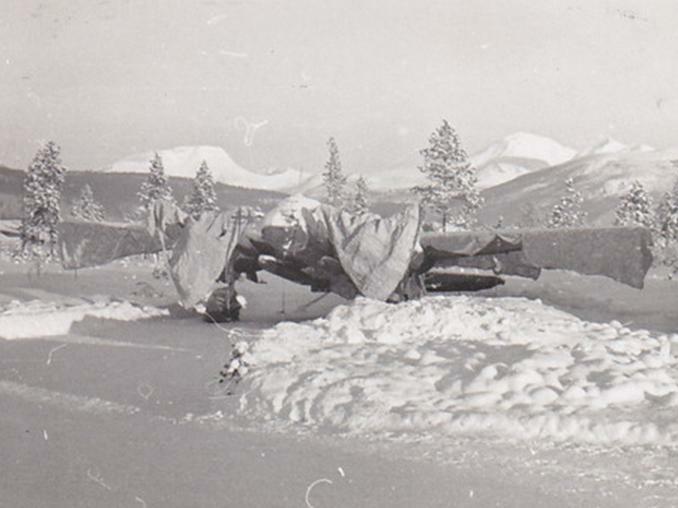 Torpedo-carrying Ju 88 of I./KG 26 taking off from Bardufoss in March 1945 to attack a Murmansk convoy. 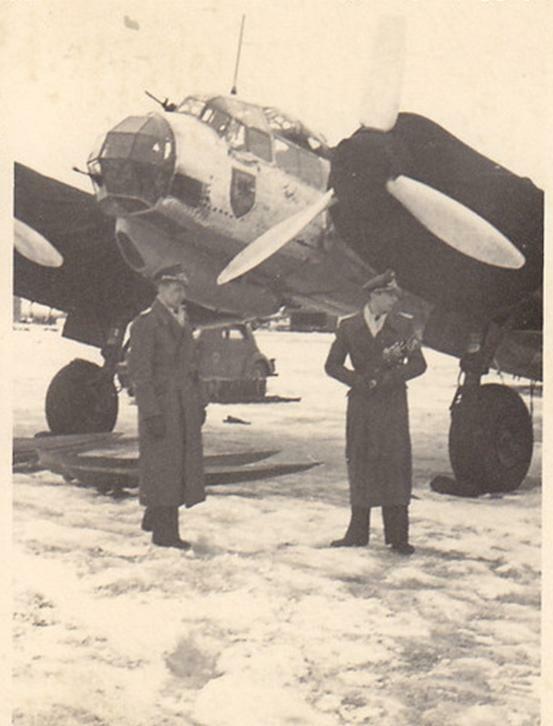 Note the Schiffssuchradar - shipping search radar FuG 200 Hohentwiel. To the right of picture Oberst Ernst Kühn is seen saluting the departing aircraft.